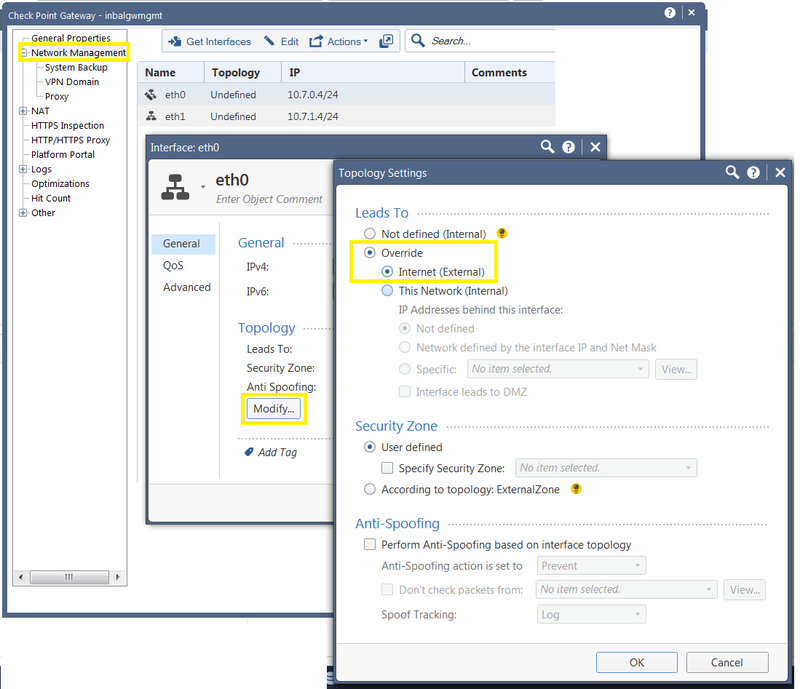 The following article describes a reference architecture of a Check Point Security Gateway protecting assets in an Azure virtual network. 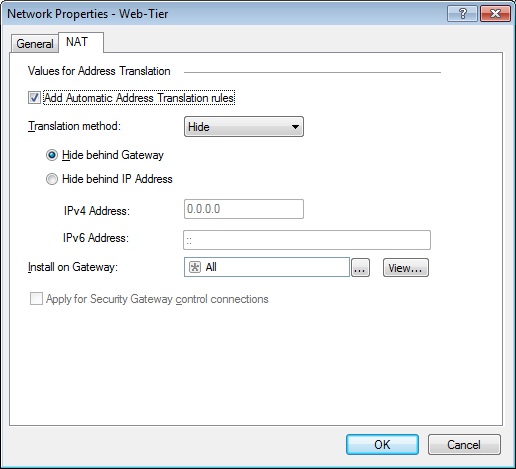 Performs Network Address Translation (NAT) to hide outgoing connections behind the gateway's address. Provides site to site VPN connectivity to on-premises networks. Provides remote access VPN services to roaming users. 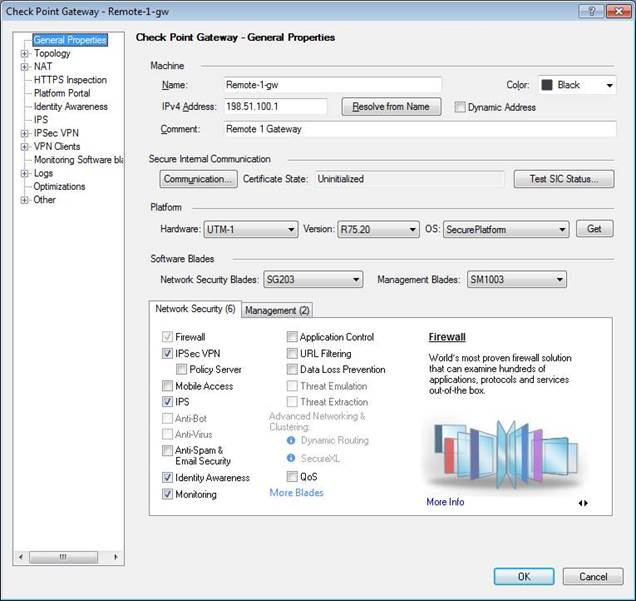 A public address directly associated with the Security Gateway's external interface. This address can be used to manage the gateway as well as for site to site VPN and remote access VPN. 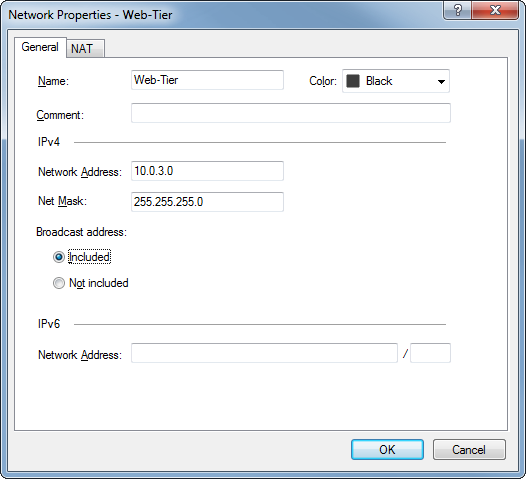 Two public IP addresses (WebApp1, WebApp2), one for each web application. These public addresses are associated with an Azure load balancer. 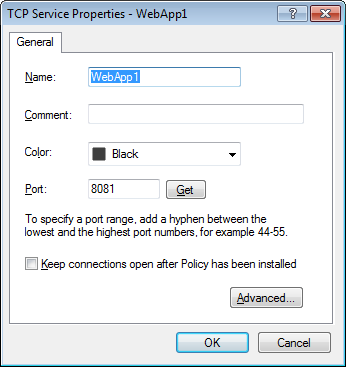 Traffic for WebApp1 is sent to the public IP address allocated for that web application. 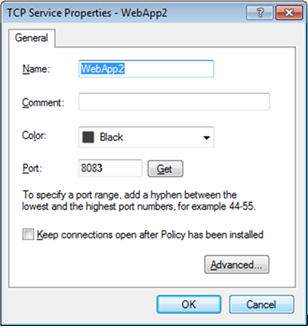 Traffic for WebApp2 is sent to the public IP address allocated for that web application. Forward traffic arriving on TCP port 8081 to Web1 on port 80. Forward traffic arriving on TCP port 8083 to Web2 on port 80. 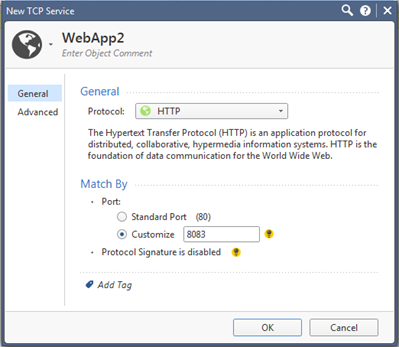 Traffic between the web and application tiers This traffic is routed through the Check Point gateway through the use of User Defined Routes (UDR). For more information on UDR, see the User Defined Routes and IP Forwarding article. This traffic is routed through the Check Point gateway through the use of User Defined Routes (UDR). The Gateway uses NAT to hide this type of traffic behind its external private address (10.0.1.10). As the traffic leaves the virtual network, Azure replaces this private address with the gateway's public address. Encrypted IPsec traffic is sent to the gateway's public IP address. The gateway decrypts the traffic and sends it into the virtual network. 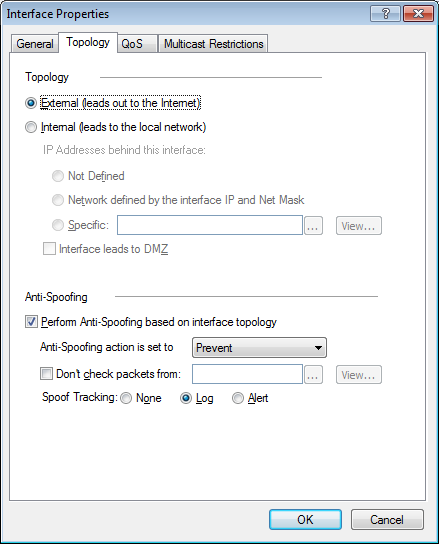 Outgoing traffic that needs to be encrypted is routed to the Check Point gateway through the use of User Defined Routes (UDR). The gateway encrypts this traffic and sends it over a site to site VPN tunnel to a Check Point gateway on the perimeter of the on-premises network. 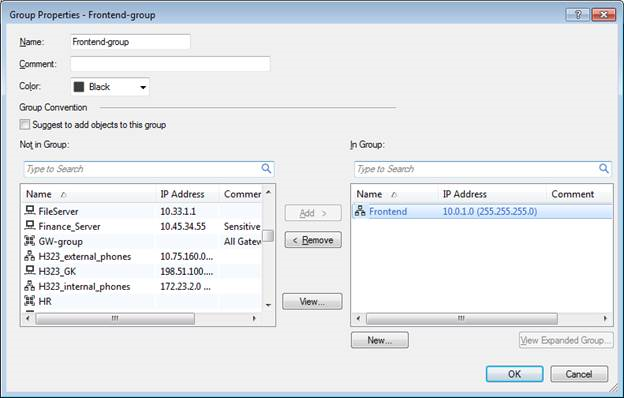 Remote access users connect to the Security Gateway using its public IP address. The gateway decrypts the traffic and sends it into the virtual network. 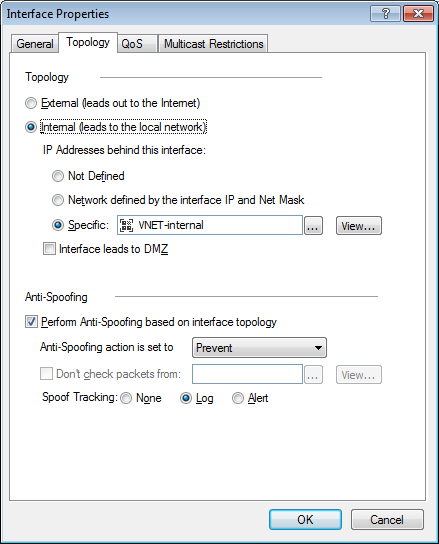 Returning packets are routed back to the gateway through the use of User Defined Routes (UDR). To deploy this solution through the Azure portal use Standard Azure or Azure US Government. 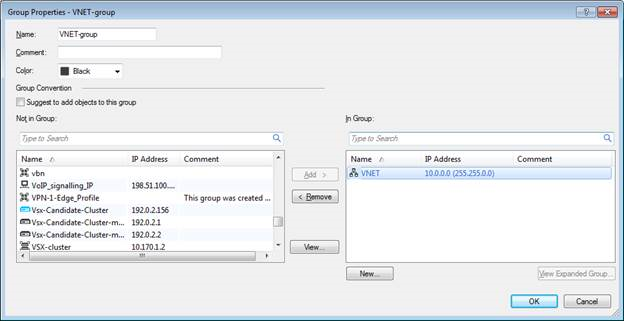 The template does not create the Web and App subnets - you will need to add these subnets yourself. VMs launched in the backend subnets might require Internet access in order to finalize their provisioning. 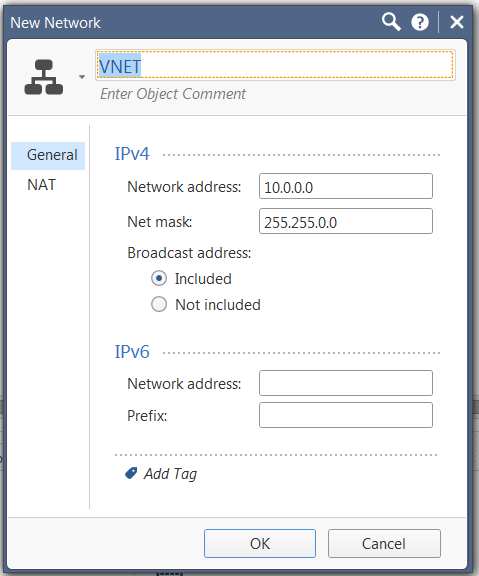 You should launch these VMs only after you have applied NAT hide rules on the gateway to support this type of connectivity. In this section we will ensure that the route tables associated with the gateway frontend and backend subnets are set up correctly. You need to follow this section only if you have deployed the gateway into an existing virtual network. 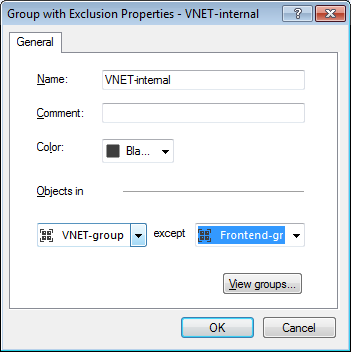 If you have opted to let the template create a new virtual network you should skip this step. 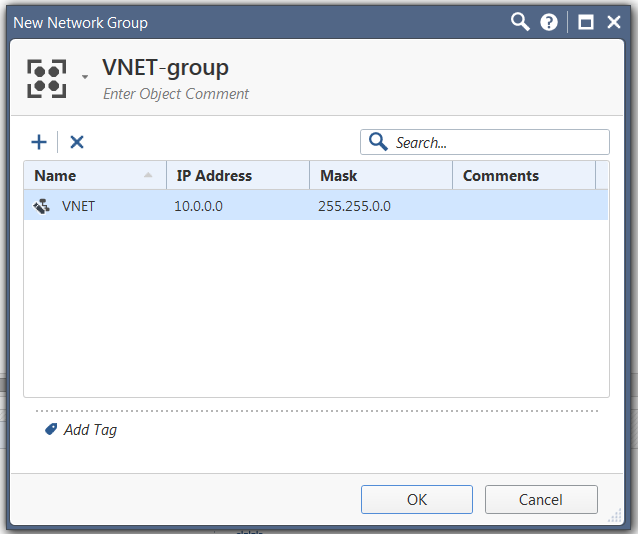 Use the Azure portal or CLI to add backend subnets such as the Web and App subnets to the virtual network. 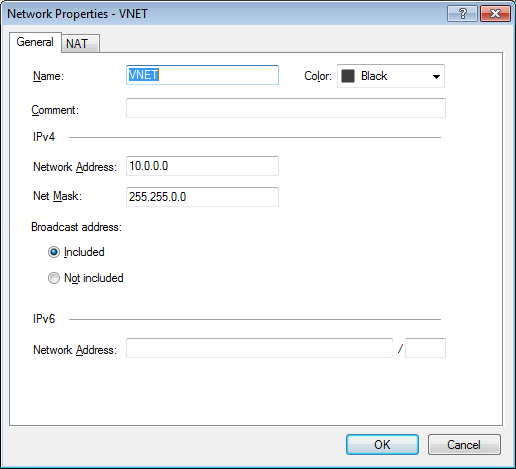 Associate the newly created routing table with the subnet. 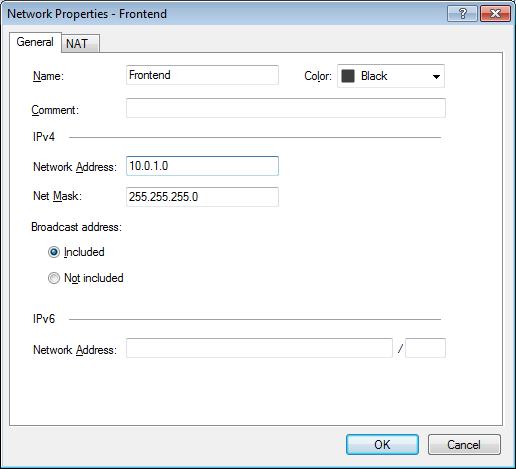 Note: If the virtual network is comprised of several non-contiguous address prefixes, repeat the above for each prefix. 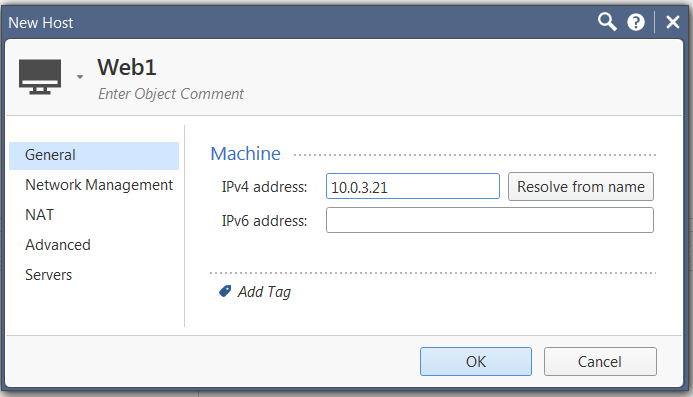 Using the WebUI or SSH, review the configuration of all network interfaces. Connect to the Security Management server with SmartConsole. 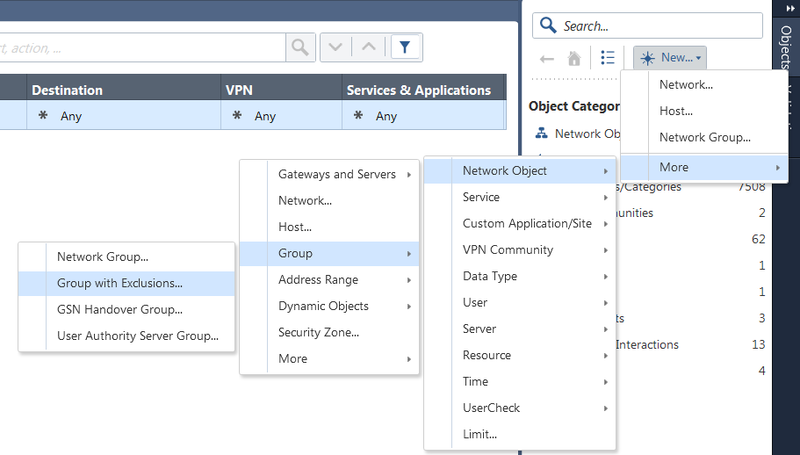 Open the gateway object, click on the Network Management tab. 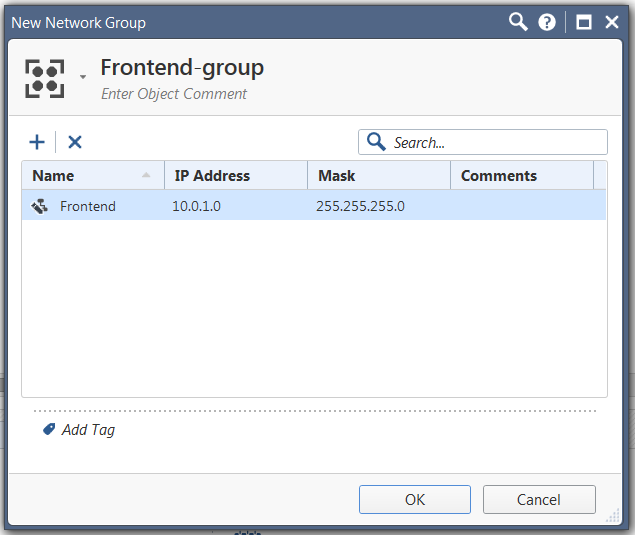 Note: If the gateway object is configured with a public IP address, create a "host" network object with the gateway's private IP of the frontend subnet and use it in rules 1 and 2 instead of "Azure-gw". Connect to the Security Management server with SmartDashboard. 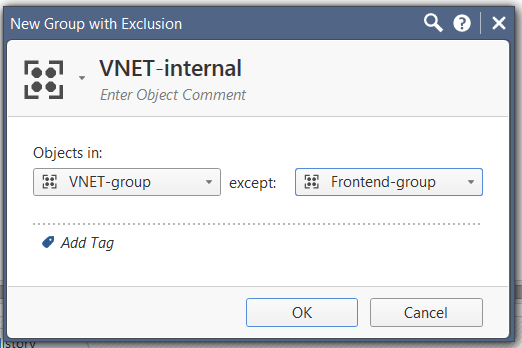 Locate and open the gateway object, click on the Topology tab. 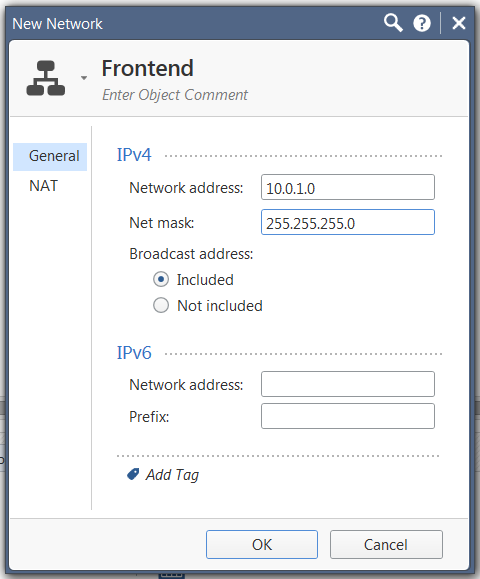 If the gateway object is configured with a public IP address, create a host network object with the gateways private IP of the frontend subnet and use it in rules 1 and 2 instead of Azure-gw. Set up any additional firewall rules, VPN and remote access configuration. Refer to the Best Practices section. Once the First Time Configuration Wizard completes, the gateway is expected to reboot. 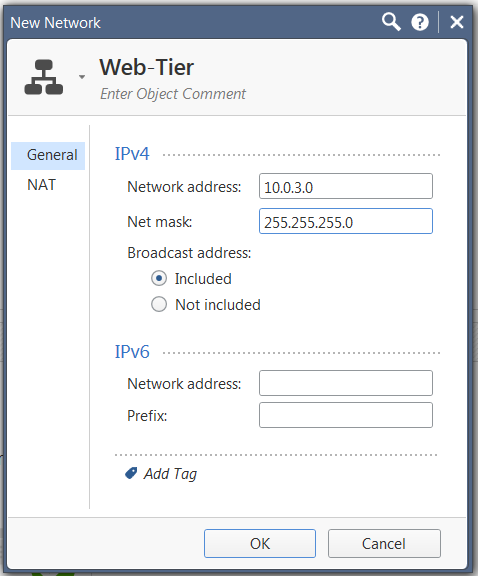 There should be no need to set up NAT-T in order to make Site-to-Site VPN work in this deployment. IKEv2 is not recommended, as there are issues (related with gateway behind NAT in cloud) for this deployment. 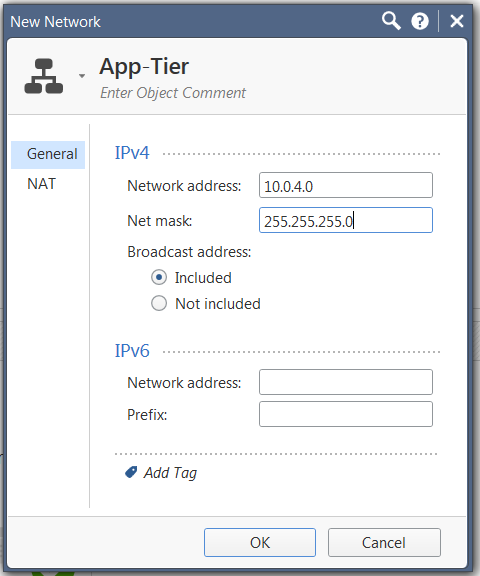 The gateway in Azure cloud is behind Static NAT. 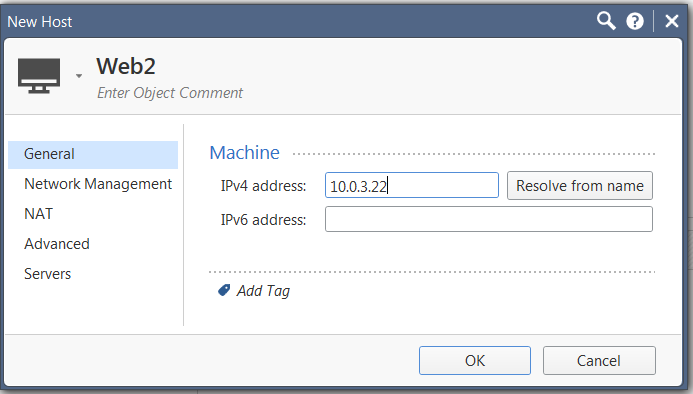 In IPv4 Address: Enter the Public IP address of the gateway (this is the Azure public IP that the Check Point Gateway is behind). If the device is a standalone, then use the private IP otherwise internal communication will break. 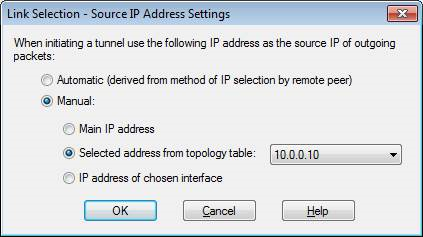 In IPsec VPN, Link Selection: Select "Always use this IP address" and then "Main address". The above two settings will ensure that the Security Management and (on-premises) Security Gateways send traffic to the gateway in Azure cloud over its public IP address. 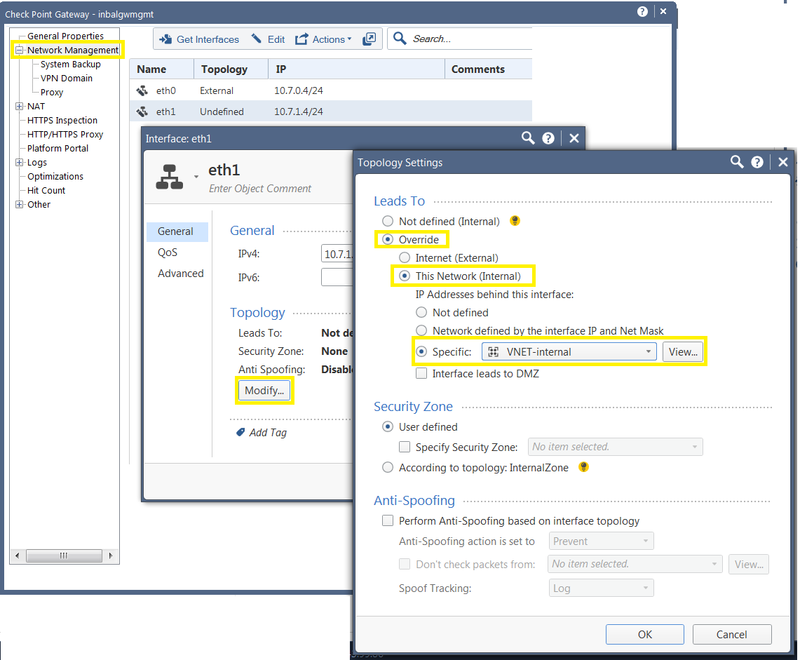 In the Link Selection settings of the same object, under Source IP address settings: Select 'Manual > Selected address from topology table:' and then select the private IP address of the external interface of the Check Point Gateway on the Azure side. 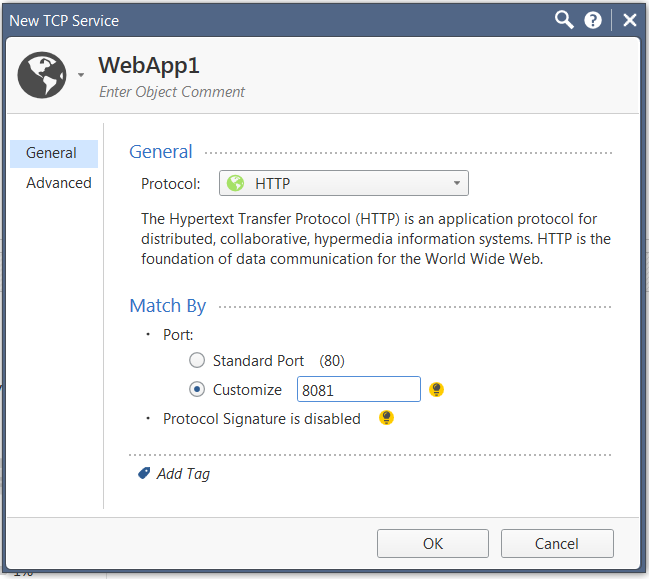 These settings will ensure that the Gateway in the Azure cloud sends encrypted traffic with the source address set to its private IP address. This IP address is then translated by Azure to the public IP address before it reaches the (on-premises) Security Gateway. 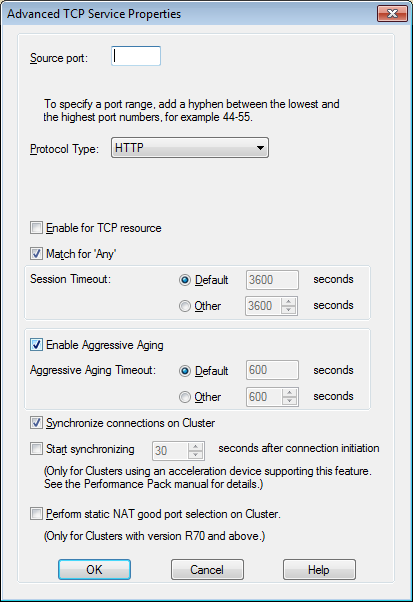 A public IP address in Azure can be either dynamic or static. For the deployment being discussed here, only Static is supported. 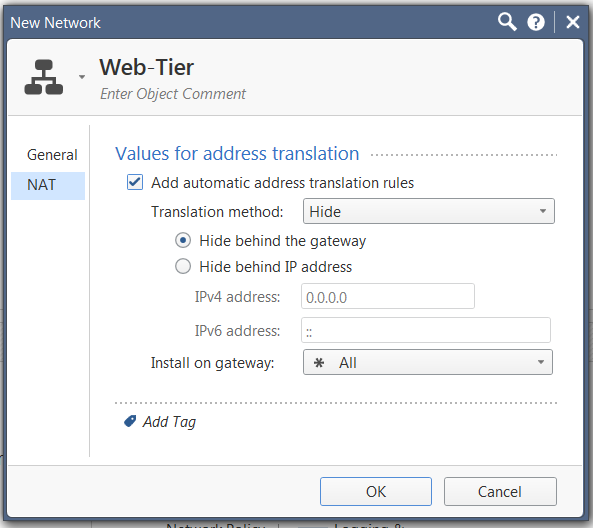 Associated directly with the network interface of the gateway only and not with load balancer. Other than that - the VPN set up is very much like any gateway behind Static NAT scenario. Pay-As-You-Go (PAYG) - The CloudGuard Gateway is pre-licensed. PAYG is only available in Standard Azure and is not available in Azure US Government. For more videos, visit the Check Point Support YouTube channel.